A combined delivery system. The Ares Probe + Comsat delivers a midgame asset set capable of establishing commnications and dropping a rover onto any world with an atmosphere that is not a pure gas giant. Enough Delta V to initially hit Duna or Eve and possibly others. A combined delivery system. The Ares Rover + Comsat delivers a midgame asset set capable of establishing commnications and dropping a rover onto any world with an atmosphere that is not a pure gas giant. Enough Delta V to initially hit Duna or Eve and possibly others. 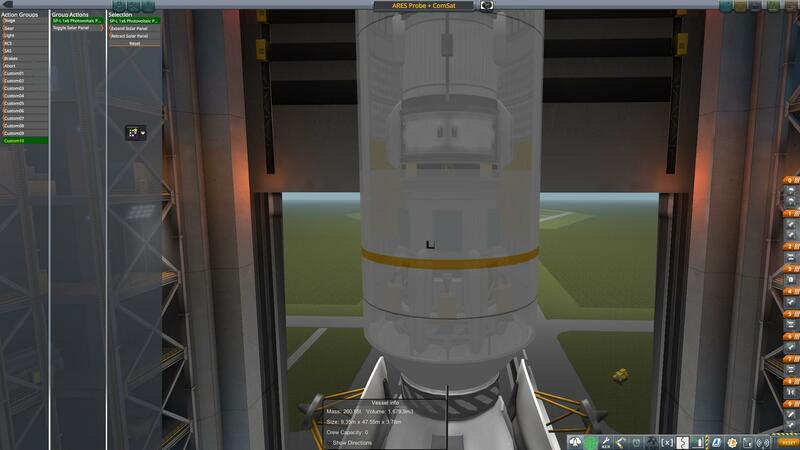 A mod rocket called ARES Rover + ComSat. Built with 101 of the finest parts, its root part is probeCoreHex.